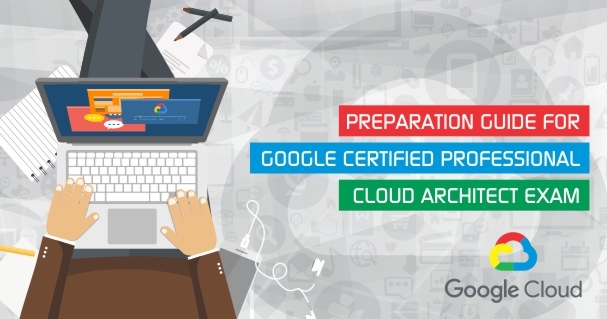 Blog Google Cloud How to Prepare for Google Certified Professional Cloud Architect Exam? How to Prepare for Google Certified Professional Cloud Architect Exam? Are you planning to build a career in modern software systems without learning cloud technology? It’s not at all possible; you can’t escape cloud technology as it’s not only a buzz term but a broad umbrella. 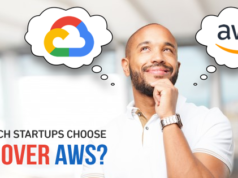 AWS, Azure, and Google are three major cloud service providers which offer a number of valuable cloud computing services. Let’s start first with a quick introduction to the Google Cloud Platform! Google Cloud Platform was released by Google in 2012. It offers a number of cloud computing services and resources such as storage, database, applications etc. over the internet. If I consider personally, then Google Cloud Platform is my favorite cloud platform due to the services it offers. Google Cloud Platform enables you to create highly scalable and available web-applications to add more value to the end users. 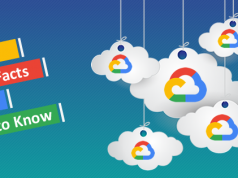 If you are looking for a cloud platform that is both cost-friendly and developer-friendly, then Google Cloud Platform is the right choice for you! With the continuous growth of the Google Cloud Platform, the market share and value of the Google Cloud is increasing proportionally. Due to the service benefits it provides, more people are adopting Google Cloud Platform. This is increasing the demand for Google Cloud professionals, in turn, the certified Google Cloud professionals are becoming more important. Google Cloud Certifications are solely meant to validate and demonstrate the knowledge of the cloud professional to develop, design, administer, and manage application infrastructure and data solutions using Google technologies on Google Cloud Platform. As this blog is about the Google Cloud Architect exam preparation, we will have our focus on how to prepare to become a Google Certiifed Professional Cloud Architect. Let’s start with the detailed description of the exam! Are you working on Google Cloud Platform? Do you want to validate your skills to work on Google Cloud technologies? Professional Google Cloud Certification exam is the answer! Yes, Google Cloud Architect certification exam is intended for the cloud professionals having significant knowledge and experience of working on Google Cloud technologies. The professional Google Cloud certification is for those who want to validate and demonstrate their skills in developing, designing, and managing highly scalable, secure, available, dynamic and robust, applications on the Google Cloud Platform. What are the benefits of Google Cloud Architect certification exam? According to the Salary Report by Indeed.com, a certified Google Cloud Architect earns an average salary of $164,000. Who can apply for the Google Cloud Architect certification exam? To start the exam preparation, it is highly recommendable to understand the exam objectives. Google has divided the exam syllabus into various sections and then subject areas. Let’s understand the topics that are covered in the exam and you need to focus upon them to pass the Google Cloud Architect certification exam. How to Apply for Google Cloud Architect certification exam? Go to the Google Cloud Webassessor website and create an account. Check the catalog and register for the exam you want to apply for. Choose the exam center i.e. Kryterion Testing Centre. Schedule exam data and exam time. Google Cloud is coming up with something new every year. Let’s go through Google Cloud Trends for 2018! Once you have registered for the Google Cloud Architect Certification Exam, there is truly no going back. However, this should not be too scary of a concept, since, at the end of it, it is still just a certification exam that can be taken by anyone. There are still some points that you should keep in mind before giving it your best try, here are some of them. One of the first things that anyone going for this certification needs to understand is that getting this certification does not automatically guarantee you a job. Sure, having Google’s reputation behind your credentials will help you to have a degree, but at the end, it will be your talent that gets you the position. Since the certification is renewed after every 2 years, it is important to ensure that you keep yourself up to date with the latest information in the field of Cloud architecture, as the next time you sit for the exam, the curriculum could have changed on the basis of market and technology trends. The reason this exam is in a multiple choice format is that it is designed to test the general knowledge of the candidate in the field of cloud computing and architecture. It is not, however, designed to access the depth of your knowledge, so even if you don’t have a lot of experience in this field, it is still something that you can pursue without hesitation. Owing to the general nature of the assessment, it is also important to note that you will only receive a pass or fail grade for the exam. Candidates should not expect feedback on their attempt itself, or any specific information regarding areas they were weak/strong in. Since the Google Cloud Platform supports a host of programming languages, such as Java, .Net, Node, PHP, Python, Ruby etc. it becomes easier for programmers to understand and prepare for the exam, even if they know only one or two of the above-mentioned languages. Experience of working on the Google Cloud Platform in itself is a great way to familiarize yourself with what is expected. So it never hurts to experiment on the platform, even if it is just to get yourself acquainted with where and how different functions can be accessed and executed. In addition to the Google Cloud Architect practice exam, there are also Beta Examinations that pop up for a short period before the final exams. These are also the paid exams but come at a discounted price. The whole purpose is to gather performance statistics on the questions and use these statistics to create the certification standards for the final exams. However, if you pass them, you are still considered certified, without even taking the final exam. The thing to consider though is that even though they are cheaper, they are still longer than the final exams which can be a hurdle for some and opportunity for others. Google is easily the biggest repository of knowledge in the world today. So it makes sense that they have all the data on Cloud Computing and Architecture that you can wish for. They have helpfully filtered all the relevant information and created a special Exam Guide for the Cloud. This guide is available for free to anyone interested and offers an outline of the topics that may appear on the exam. It is an important resource for Google Cloud Architect exam preparation It also includes different case studies that offer a glimpse of how you can use this certification in real life, only using a fake business and solution concept. Some of the questions on the exam may even be pulled directly from one of these case studies, so it is wise to review them as a part of your preparation. While the exam guide gives you an overview of the entire syllabus of the Google Cloud Architect certification exam, the documentation page focuses solely on the Google Cloud Platform itself. Unlike the guide, this goes in depth about the concepts and critical components of GCP; thus becomes more valuable for your Google Cloud Architect exam preparation. Once you go through it properly, you will have a far better idea of exactly what you can accomplish with this platform. 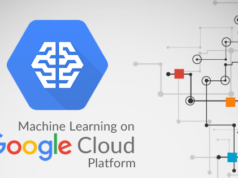 In addition to the platform, you also get a look at all the services for computing, storage, networking, big data, machine learning, operations and more that are already up and running with GCP as a base. Since you might end up working on one or more of these services during the course of your career as a Google Cloud Architect, it is in your best interest to know everything possible about these services. In addition to understanding the services, it is also important for any Google Cloud Professional to understand whom the services benefit. This is where the Solutions section comes in, which gives you an overview of these services from the perspective of a client/customer. This will help you understand what are the client’s needs, how will they achieve them to the help of GCP and most importantly, what are the areas that can be improved further with solutions that clients haven’t even thought of yet? When you have an understanding of both sides of the equation, you will be able to envision and create truly integrated systems; a skill that will help you on a daily basis, not just for passing the certification. Google understands that not all people prefer to do self-learning. Often it takes a hands-on approach from a real trainer to help them grasp the topic in a satisfactory manner. Which is why, they arrange a variety of offline training classes, where you can freshen up on the topics and clear any/all the doubts. It is a great way to deal with the stress of Google Cloud Architect exam preparation. These classes can be as small as a single day to an entire week-long engagement. As with any class, you will have to keep track of when and where they are available so you can get yourself up to speed and learn all the best practices. You still have the option of revising what you learned in the class online, which is a great way of ensuring that what has been learned is not forgotten that easily. Practical experience often sticks for far longer in our memory as compared to just theoretical study. This is even truer for virtual applications as there isn’t any tangible set of steps that you can commit to physical memory. This is why, Google offers a series of carefully crafted laboratory environments, where you can work with real-life Google Cloud technologies and experience how they work firsthand. These virtual labs offer you a chance to pick your own pace when it comes to learning and at the same time provide a safe place to experiment where your mistakes don’t have real-life consequences. In addition to full-fledged cloud labs, there are also smaller, more specific Codelabs that guide you through the coding process itself, so you can learn how to implement smaller elements and commands on your own. They are a great way of practicing what you have learned and helps you in Google Cloud Architect exam preparation to receive the certification. Unless you are just starting out in the field of cloud computing, it is given that any individual attempting this certification will have some level of experience in this field. Even if the experience is in other aspects of computing, it is a surety that whatever amount of knowledge you possess can be quite valuable in navigating this challenge. After all, underneath the unconventional hardware setup, it is still a computing system, and those who know how to handle them will surely be able to work their way around Cloud Architecture. Besides, there are a lot of things that you can just pick up during the day to day work that you often might not find in books and guides. This is why we put a premium on your own work experience as well as the resources that you might have gathered along the way. So, before you start anything new, always revise where you have been and what you have done. Practice tests are an integral part of any exam preparation. No matter what is the subject, you will always find the need to go through a few mock tests before you have complete confidence in what you have learned. It helps you familiarize yourself with the type of questions that will be on the exam. At the same time, it will also be a check of how ready you are to take the exam, not only in terms of accuracy but also speed. This is a very valuable skill to hone, especially when it comes to the Google Cloud Architect exam that comes with a strict time limit. Check your current level of preparation with Google Certified Professional Cloud Architect exam practice tests! As we have mentioned above, Google itself offers a host of resources to help people learn more about their Google Cloud Platform. They do so for free, as it is in their best interest to train more and more people that will eventually help their cloud architecture community grow strong. In addition to general study materials, Google also provides various blogs, podcasts, and videos pertaining to Cloud Computing, so that people who are interested in this field are able to keep up with the latest developments. There are other third-party resources as well, but you will notice that a majority of their information has been taken from Google itself. Here are all the resources, both Google and third party, for your perusal. I’m mentioning this twice since it is one of the first things that you need to go through before moving to anything else for Google Cloud Architect exam preparation. The guide not only lists the syllabus but also features different Case Studies that can come in handy for the Google Cloud Architect exam Preparation. This is the second thing that you must study, right after the exam guide which plays an important role in Google Cloud Architect exam preparation. It will help you understand all the aspects of the Google Cloud Platform from a developer’s perspective. It will also be instrumental in helping you decide which real-world application would you want to work with based on GCP, once your certification is done. This is a straightforward reference guide for everything that can be accomplished using Google Cloud Platform. It not only details the services but also states the way to get said services up and running in simple steps. A unique feature of this guide is that it also lists various companies that partner with Google Cloud to create and run them. This way, by the time you finish your study of the material, you will have a working knowledge of all the big and small players involved in the industry. If you have trouble understanding the concepts mentioned in the notes, you can always go for physical classes where you will be taught these concepts the old-fashioned way. It is a great tool for Google Cloud Architect exam preparation for those who either don’t like studying online or simply require hands-on guidance. For people who have no such qualms about using online resources, all of these courses are also available on demand at online portals. These certification training providers feature different programs created by the team behind Google Cloud. They offer different courses with complete video lectures and notes, all for free. With these online resources, you can learn from any part of the globe, as long as you have a stable internet connection. It is an important resource for Google cloud Architect exam preparation for the working professionals who don’t have much time for the preparation. The cloud is constantly changing, so are the rules that govern it. With new technologies and ever-changing political policies, it is hard to keep up with the latest developments in the field, unless you have a dedicated source of information that can be trusted. The Cloud Platform blog by Google is one such place. Their writers cover various aspects of the industry, including but not limited to product/service launches, cloud updates, industry updates, opinions on long and short trends and much more. By going through this blog on a regular basis, you will keep on getting the latest information whenever you decide to attempt the exam. Podcasts, in generic terms, can be called blogs for drivers. It might be a weird concept to imagine, but for the millions of commuters that end up spending hours on a daily basis in traffic, this is a great way to learn on the go. Google’s Cloud Platform podcast features various topics related to the industry, discussed between industry professionals, who can give honest and on the spot opinions on a platform that is designed to reach their peers. If you want to learn from them, then you better start listening. Google Cloud Next is the ultimate location for interactions between cloud computing professionals. It features multiple day long boot camps with experienced industry leaders where you get a chance to learn about the latest developments and techniques. Even if you are not able to physically attend these events, you can still listen and learn from the speakers, thanks to Google’s comprehensive archive. It is definitely a must watch resource for your Google Cloud Architect exam preparation. Google QwikLabs is a dream come true for any student of cloud computing who wants to move on to practical work. These labs are designed to cover different topics and applications, which are taught using real Google Cloud software and tools. It is a great way to revise everything you know while learning everything that isn’t covered in the Google Cloud Architect exam syllabus. Google Developers Codelabs are just like QwikLabs, with the only difference that where QwikLabs use cloud tools, the Codelabs use coding. The concept is to provide a guided, hands-on coding experience that guides you through the process of building a small application, or adding a new feature to an existing application. These applications can be designed to integrate cloud computing from the start, or it can be an add-on feature for existing code. This practice will come in handy even after the certification is done, as you will be able to integrate various services on to different platforms with ease. Mock tests are easily the oldest staple of exam preparation in the world. They offer you a chance to test your skills before you actually give the real exam. Google understands their importance, which is why they have their own Google Cloud Architect Certification Sample Papers. However, they aren’t the only game in town, as services like Whizlabs offers both free and paid practice tests for the Google Cloud Architect exam preparation. So, these are the resources that will prove important milestones in your journey of the Google Cloud Architect certification exam preparation. Preparing for Google Certified Professional Cloud Architect exam? Try Free Test Now! So far, we have focused on everything that Google has to say about Google Cloud Architect certification. However, there are certain books that offer their own take on Google’s way of approaching cloud computing. Let’s have a look at the best books that may help you in your Google Cloud Architect exam preparation. 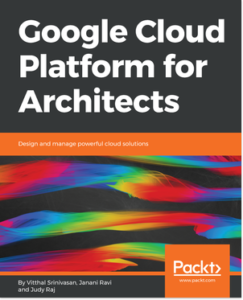 Google Cloud Platform for Architects book is aimed to help the cloud professionals to learn and use Google Cloud Platform with high competency and confidence as well. This book enables you to understand the form of cloud architecture and thus helps you to become a professional cloud architect. By reading this book, you will also learn the procedure of configuration and usage of the cloud services. You will also get to know and understand the situations where you could use Google Cloud services which is very important in the Google Cloud Architect exam preparation. And by the end of this book, you will have enough knowledge to work on the Google Cloud Platform. This O’Reilly book explains the exact perspective of Google Cloud Computing, which is why it is often recommended to the students of cloud computing working on Google Cloud Platform. Fortunately, this book can be read online for free, so you don’t have to worry too much about the cost of knowledge. This book is composed of four sections namely introduction, principles, practices, and management. 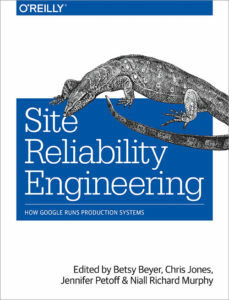 Reading this book will help you understand the basics of site reliability engineering, areas of expertise and practices of a Site Reliability Engineer (SRE) along with the best practices of Google that the organizations implement. 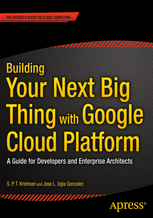 Thus, this book acts as a valuable resource in your Google Cloud Architect exam preparation. This book is a comprehensive guide on the Google Cloud Platform products for both the enterprise architects and application developers doing Google Cloud Architect exam preparation. This book enables you to take the advantage of the GCP technologies and thus helps you build different kinds of cloud-based services and software for the private as well as public consumption. Reading and understating this book will make you capable enough to work on Google Cloud Platform to turn your ideas into reality. With the real world examples, the main focus of this book is to help you get the things done and align with GCP as soon as possible. 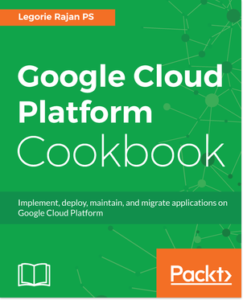 Google Cloud Platform Cookbook is a definitive guide that explains how one can use Google Cloud Services with its practical recipes. This book is a comprehensive guide to opt during Google Cloud Architect exam preparation. Understanding the various concepts of this book, you will be able to utilize all the Google Cloud Components i.e. developer tools, networking, management, security etc. Also, you will learn how to implement core services of Google Cloud into your organization. This book also covers administrative tasks such as troubleshooting to help you monitor the efficiency of the organization by implementing best practices. By the end, you will become an expert with the sufficient knowledge to implement Google Cloud services in the organization. These Google Cloud Architect certification books are for all the aspirants seeking to build an expert in Google Cloud Architecture. So, whether you are a fresher or experienced, these books will prepare you to work on Google Cloud Platform to build Google Cloud software and services. Time is always key in a multiple choice exam since the time limit itself prevents you from spending a lot of time on any particular question. This is why it is advised that you spend your time attempting as many questions as possible so that you get all of them on the first try. It is common to get confused between two different answers and start questioning your own knowledge. In times like this, rely on your gut and pick the answer that feels right. You can always come back to revise at the end. A lot of multiple choice questions often feature the answer in the body of the question itself. This is why it is recommended that you read the question completely and properly, as it might just save you time when it comes to picking an answer. If you see time running out and start to panic, it is totally fine to take a few minutes and calm yourself down. A frantic mind can make mistakes that a calm mind would easily avoid. Always pay close attention to the case studies, as they can be used to create multiple questions that are often linked together. As long as you understand and remember the underlying rules you will always find it easier to navigate through the questions. Don’t rely too much on sample papers as a guess of what might come in the exam. It is possible that they might feature questions from previous years, but that is not a guarantee that they will be used for future question selection. Revision is for all questions, not just the ones that you haven’t answered yet. It often happens that we only focus on the questions that are left, which can leave behind mistakes in questions that we’ve completed in a hurry assuming that they are correct. While going for Google Cloud Architect Certification exam, it is recommended to go for some frequently asked questions. Here we cover some of the Google Cloud Architect Certification FAQs that will clear the most of your doubts and you will get the answer to all of your questions. Let’s get ahead! 1. What is a Google Cloud Certification? If you’re working on Google Cloud Platform, the Google Cloud certification program gives you a chance to get your technical skills verified. Anyone can take these exams, including average users, customers, and technical partners among others. Google is one of the biggest tech companies in the world that assess individuals through a multiple choice test and determine their level of competency. 2. 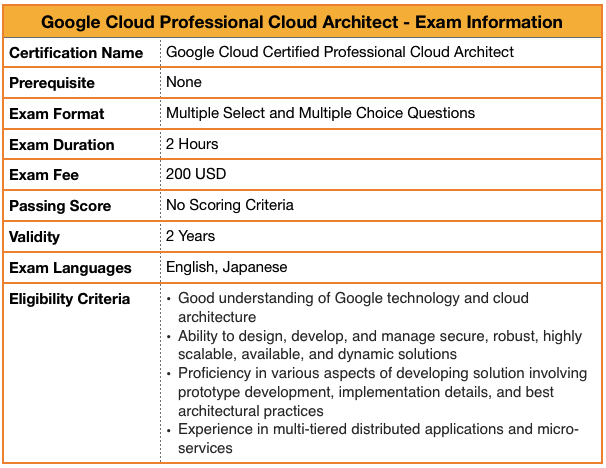 How much does Google Cloud Architect certification exam cost? The cost of Google Cloud Architect certification exam varies depending on the type of certification. For the Google Cloud Architect Exam, the cost is $200 at present. 3. How long is a Google Cloud Architect Certification valid? All Google Cloud certifications are valid for 2 years from the date of certification. At the end of that period, the candidates are notified to take the recertification exam. However, if the exam in question is not scheduled during that period, the certification will be automatically extended, until such a period when the exam can be conducted. 4. What happens if I don’t pass the Google certification exam? If you don’t pass an exam, you still get two more attempts to pass it in the same year. The second attempt can be taken after 14 days, while for the third, you have to wait for 60 days. If you’re still not able to pass it, you will have to wait a year before taking it again. No matter how many attempts you make, you will still have to pay the full amount each time. 5. Why don’t I receive any score or feedback after I submit my exam? The exams are designed to measure the competency of the cloud computing professionals on Google Cloud Platform. As long as you score high enough, there is no need to see what part of the exam was better or worse. Moreover, the whole purpose of a certification is only to say that you know enough about Google Cloud, not whether you are any good at it or not. 6. How much time will it take me to complete the Google Cloud Architect exam? Exams vary in length depending on the syllabus. For the Cloud Architect exam, the standard time has been set for 2 hours. 7. Are there any prerequisites to for Google Cloud Architect certification exam? There are no prerequisites to taking this particular exam. Anyone can take it, as long as they have a sufficient enough knowledge of the subject, and can pay $200. 8. Can I take this exam in a group or with a partner? The Google Cloud Architect Exam by design must be taken independently and without collaboration with other people. Anyone caught cheating will be banned from taking another Google Cloud certification exam for a year. 9. Are Google Cloud certification exams open-book exams? The Google Cloud certification exams are not open-book exams and candidates are advised not to carry any notes or other unauthorized items in the exams. If you are caught with any unauthorized items, it will be considered as a misconduct and your exam results could be voided. 10. Is there an age requirement in order to be able to take Google Cloud Architect certification exam? Yes. Individuals attempting this exam must be older than 16 years of age if they live in the European Union. For all other countries, the age has been set to older than 13 years of age. 11. What happens if I violate the exam rules? If Google discovers that you have breached the exam rules, your certification(s) will be revoked. You will also be permanently barred from retaking the exam and any other Google Cloud exams. Google may or may not choose to take necessary legal actions, depending on the laws of the country in question. 12. Do I need to carry personal ID for my exams? Yes, ID is required before giving the exam. Acceptable forms of ID are those that have been issued by the government and include your name, photograph, and signature. If you are under 18 years of age, a school photo identification will be accepted. 13. Can I get a refund, if I am not able to take the exam? A medical emergency for you or a family member. Natural disasters or severe weather conditions. Urgent travel restrictions or severe security advisories issued within 72 hours before the exam. 14. When will I need to recertify? Since the validity of this exam is 2 years, you will have to recertify after that time. You will receive reminders about it via email, 60 and 30 days prior to the expiration date of your certification. The emails will be sent to the same email address used during exam registration. 15. Who can I contact for help? For any questions regarding the Professional Cloud Architect exam, contact Google support by submitting the query form. So, you’ve reached the end! This is all the information you will require to undertake the Google Cloud Architect Certification Examination. As you can see, the exam has been designed to be as transparent as it can while still catering to anyone and everyone who wants to attempt it. Though the exam is typical, this detailed information, preparation guide, and the above-mentioned resources will make the journey easy. Whizlabs, pioneering the online certification training industry, aims to help the professional to prepare for and pass the certification exams. So, we bring Google Cloud Architect practice tests for you to help you in your Google Cloud Architect exam preparation. Preparing through our practice tests will make you confident enough that you will be able to pass the certification exam in the first attempt. Have you decided to go forward with the Google Cloud Architect certification exam? Wish you the luck! Need any help/assistance with your Google Cloud Architect exam preparation, just write in the comment below or reach us at Whizlabs Helpdesk, we will be happy to assist you!